Facebook reminded me today of what I have been thinking about over the last few days. It’s been a decade. 10 years ago I held up my end of the deal that I made with whatever I believed God to be when I asked for a sign that I should leave the security and stability of my then-career. It’s been a decade. Mind-boggling. A decade of firsts. A decade of working harder than I ever thought possible. A decade of experiencing life at a level of beauty and inspiration that I had never known was possible. A decade of pursuing my intention of helping others heal. A decade of traveling around the world with people to offer them transformational experiences that show THEM how life can be experienced at that level of beauty and inspiration. A decade immersed, without trying to sound trite or cliché, in love and emanating that love outwardly in no specific direction. A decade of stepping onto my true path, the one my life had been preparing me for all the while leading up to October 15, 2008. A decade of support. From you all. From my guy. From my family and my extended family. A decade of wisdom and learning and trial by error. Thank you all. For paying attention. For allowing me to be part of your narratives, in whatever way that has taken place. Thank you for giving me the space, time and opportunity to do what I am alive in this body to do. Ten years, and yet I feel like it’s just the beginning. I’m sitting on the bus that will soon depart for Vancouver International Airport as i make my way back home to Montreal, and I’m literally vibrating from the experiences I’ve had over the last 4 days. 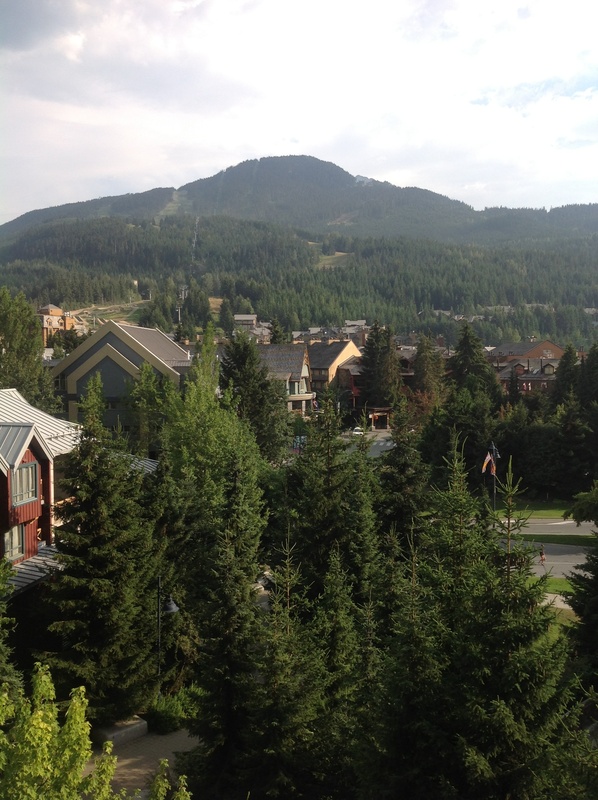 The energy coursing through me was so intense last night that I couldn’t fall asleep for hours, and woke up exceptionally early ready to get up, senses alert in anticipation of the events that would close out my stint on the faculty of the Wanderlust Whistler Yoga Festival. My time here has been densely packed with moments that have woken me to the reality of this cross-section of my life: I have more of an impact on people than I was aware of. I am known by many more people than I was aware of. I am better at what I do than I was aware of. My future is blindingly brighter and bigger than I ever could have imagined. I have always worked hard in this career, knowing that it was actually less of a job and more of my raison-d’être. I put my blood, sweat, intention, honour, and tears into what I do, and I have always hoped that I would be fortunate enough to reach people on a grand scale. That hope is now being realized. What have I learned from this incredible, game/life-changing weekend? I’ve learned that my tendency to second-guess myself, which on one hand helps keep me grounded and focused on creating the best space possible for those who need it, also has kept me from seeing the sheer scope and immensity of how effectively I connect with people, and where in the world those people are. I’ve learned that the success that seems to be blossoming from this epicenter of honourable intention embodies endless possibilities lying in wait for me. I’ve learned that my goal of helping people live better lives and heal by shifting their perspectives and focusing on that which serves to unite us is being realized, and that I am already connecting to people on a global scale. I’ve learned that my intention is growing with the possibilities that have suddenly become illuminated to me. I’ve met incredible people this weekend, people I had previously held in the highest of esteem, and held at a level above where I considered myself to be. These people embraced me during my stay here, reminding me that we’re always level with each other, and that we are all living a communal existence of light-bearing, especially into the darkest of times and places. My bus is on the move now, so I’ll wrap it up here. I’m coming home a changed man. Galvanized, refocused, and feeling more confident than ever that the road that my dharma continues to lead me on is where I was meant to be, and where my life’s work will continue to unfold. To all of you who are thinking, “I TOLD you so!”, I’m grateful that you’ve given me the time to catch up to what you were already conscious of. It’s been a couple of months now that I’ve been teaching yoga, and after solely being a student for 10 years, the transition has been so organic and natural that I know that I’m finally doing what I’m meant to be doing. It’s taken me 35 years to figure it out, but it’s happened…and I’m so happy that it has, and that I love doing it so much, so I’m just very grateful these days. Personalizing a class with my personality and humour is almost the most fun I’ve ever had, and it just keeps getting better and better. I never knew what I wanted to do in life. All I knew was that I needed to feel emotionally stable, and yoga was the tool that helped me ensure that I was, that I knew how to balance a demanding career with everything else that goes on in life, that I had a home of my own, a home base. I was seriously envious of the people I knew who had accomplished what they set out to accomplish, those who knew what to do with their careers. I wondered if I would ever feel so ambitious that I would do whatever was necessary to succeed in doing it. I’m now there. And I’m seeing that it isn’t even ambition that I’m feeling – it’s the need to do my absolute best, to understand that the classes that I assemble should be a pure reflection of who I am and what I want to share with others, and to just be the best version of myself possible. When I look back on where I was one year ago exactly and how much I’ve accomplished since then, it kind of stuns me. It hasn’t felt as massive a transformation as I would have thought. I remember starting to consider leaving my career and taking the massive chance to see if what I loved doing in life could bring enough money to get by. I remember being so miserable in my last job that despite not knowing what I would do to survive, I knew I had to get out of that environment. When I finally did, I was stunned at how things started to happen without my initiation or manipulation, and how if we allow great things to come into our lives, if we continue to take steps towards happiness and peace, we could be happier than was ever considered possible. I now understand that the emotionally stable environment I instinctively cultivated was exactly what I needed to take the steps I took and continue to take. And when I look back, I realize that the “transformation” was actually a return to the source, to who I am and who I’ve always been. It’s amazing how simple it’s been – years ago my first teacher Joan Ruvinsky told me to “get out of my own way” when I shared where I felt my life was going at the time, and those words changed my approach to life. My teachers have guided me responsibly and encouragingly throughout the past 10 years, and now that I find myself walking in their shoes, I am so proud and honoured to have the privilege of offering tidbits of wisdom to my students.